They represented in the 1930s a new phase in syndicated crime in America, an example of the ethnic reinforcements available to the new national crime syndicate in the ghettos. Organized crime continued under the increasing dominance of Italian and Jewish ethnic groups, reversing a trend of just prior to World War I when the more typical ghetto experience was one of social mobility and so had lead to the breakdown of the large Jewish and Italian gangs, specifically the Monk Eastman and Paul Kelly gangs. These ethnic crime groupings revived under the big-money opportunities provided by Prohibition and so became America's first syndicate criminals, as distinguished from the more common ghetto criminals of the past. Young Turk elements began taking over the gangs, causing among the Italians, for example, a long-term bloody purging of the old-style, oldworld mafiosi, replacing them with younger immigrants less "tainted" by the old crime rules and dominated by only one basic drive—the buck. Historically, a couple of decades should have been sufficient to move the ethnic Jewish and Italian gangs out of the ghettos and into a stratum of lower incidence of crime, even ethnic crime. But now the basically first-born ghetto youths were frozen into their locales by a second sociological force as powerful as Prohibition and its consequences—the Great Depression. In the Chicago "Patch" area of the West Side, youth gangs saw only one future open to them after they passed the mindless age of juvenile crime. That future lay with the mob, the syndicate, the Capones—whatever one wished to call it. The 42 Gang from the Patch spewed out a steady supply of mobsters-to-be, most prominent being Sam "Momo" Giancana, already at that age, to use a police description, "a snarling, sarcastic, ill-mannered, ill-tempered, sadistic psychopath." 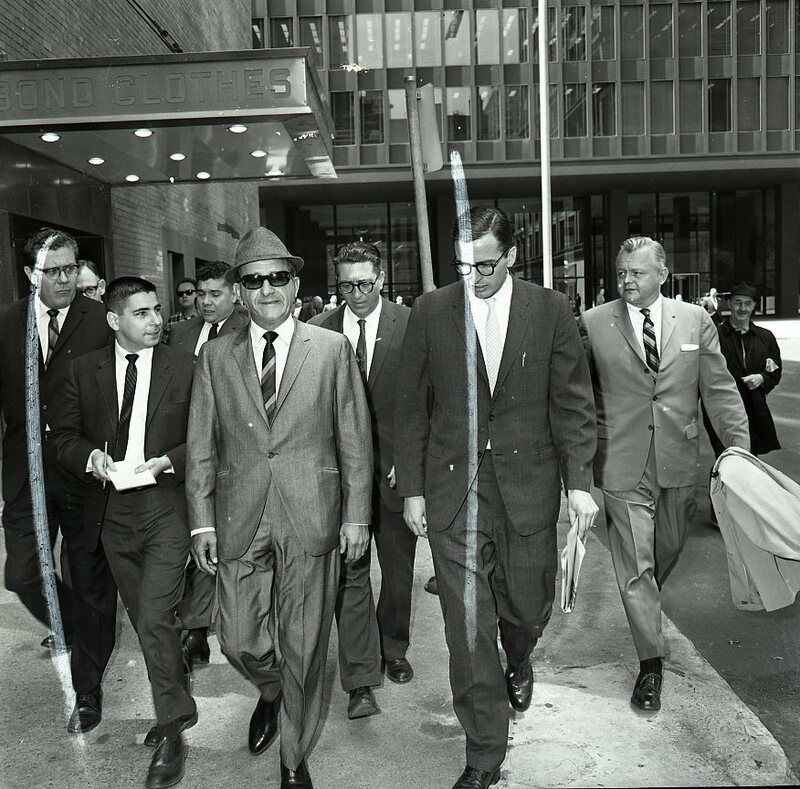 As Giancana moved up the syndicate ladder of success, he took with him a group of juvenile companions from the old 42 Gang who within the underworld became known as the "Youngbloods." The Youngbloods later included other 42 Gang members, but their nucleus formed around such Patch graduates as Sam Battaglia, Milwaukee Phil Alderisio, Marshall Caifano, Sam DeStefano, Fifi Buccieri, Willie Daddano, Frank Caruso, Charles Nicoletti and Rocco Petenza. By the 1950s the Youngbloods were the mainstays of the Chicago Outfit. Many of the older Capone hands, those who had survived the violence of the preceding decades, were now starting to fall away under the ravages of age, men like Golf Bag Hunt, Terry Druggan, Phil D'Andrea, Jake Guzik, Little New York Campagna, Frank Diamond and Claude Maddox. Even though Sam Giancana still took orders from the older hierarchy—including Tony Accardo and Paul Ricca, the latter elevated to near sainthood within the mob—the Youngbloods were the main muscle in the organization. Giancana kept his Youngbloods close to him, not assigning many to capo status with many soldiers to supervise and "feed," but appointing them instead to an elite corps of buttonmen serving directly under him and carving out large slices of mob profits for themselves. The Youngblood reign lasted through the slow decline of Giancana in the late 1960s until his assassination in 1975. Within two years previous to that, Giancana had lost many of his most ardent Youngblood supporters. Men like Buccieri, Daddano and Battaglia died; others like DeStefano were murdered (DeStefano would have to go before Giancana could be taken out). With Giancana's murder by the mob (unless one holds to the underworld charge that it was a CIA hit) the Youngblood element lost complete dominance although many remain to this day powerhouses within the Chicago Outfit. Like those they had previously replaced they are now the Oldbloods of the mob.